Helium gas inhalation: Having fun at the party or a deadly threat? Most people simply do not have enough information to understand the risks associated with inhalation of helium gas. Several years ago, I was asked to investigate the deaths of adolescents who were dead due to the inhalation of helium produced by the balloon filling system. During the investigation, I discovered potentially the main essence of these extremely deadly dangers. The discussion here aims to help readers make informed decisions that prevent future deaths. There are a few known areas about helium inhalation that may quickly cause you losing your consciousness due to suffocation. During the exchange of gases during the usual breathing process, the blood flow absorbs oxygen from the air in the lungs, and carbon dioxide enters the air from the blood. When you keep your breath, gas exchange is slow and the old air in the lungs is no longer replaced by fresh air. Although the process does not stop immediately. Sometimes it will be passed before experiencing severe physical pain and suffering. For example, you may have time to take something out or leave, or walk around the room, or find a seat and sit on it before you feel you have to breathe again. However, when the lungs are filled with helium gas, another process occurs. Oxygen actually is removed from blood flow during the gas exchange process. Depending on the amount of oxygen that is replaced by helium gas, you may lose consciousness quickly and without warning, maybe while you stand, literally go away. The result is a possibility of falling without your control, which will cause serious harm, even if normal breathing is restored. What is dangerous about balloons filled with helium gas at a party? Have you asked yourself? Apart from these, are the balloons interesting? Is not it? The answer may surprise you. 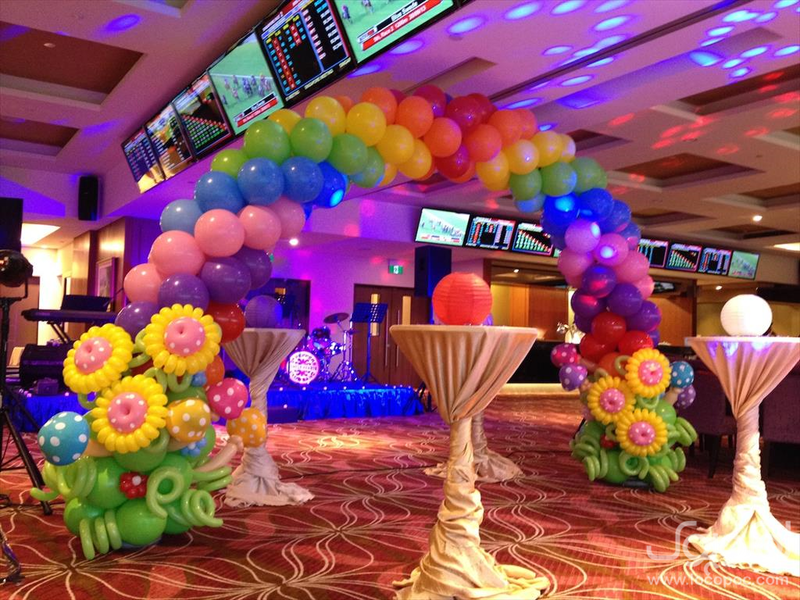 Balloon filling systems have become popular in recent years, and are often found in supermarkets, party devices stores and different store types. The commercial system usually is used more by the store workers than the customers. Sometimes the system is rented or borrowed by the customer, which leads to the mentioned mortality. Typical commercial systems include helium cylinders, shut-off valves, pressure regulating, tilt valves with balloon adapters. Such a system is designed for fast filling of balloons. Usually, the maximum helium gas flow rate is about 5 cubic feet per minute (cfm). The maximum flow rate is determined using the pressure/flow regulator and the cylinder pressure which is usually several hundred pounds per inch (psi). An attempt to inhale helium from a commercially available balloon filling system with helium gas has a greater risk than helium inhalation from the balloon. In addition to the risk of anesthesia, there is also the potential for death. Unfortunately, a number of young people died during the inhalation of helium gas from such a system. Did you ask yourself how was the young and healthy person killed with this seemingly helpless substance? Post-death surveys explain what has happened, while engineering analysis explains how it happened. Chemical reactions do not lead to fatal injuries. Gas pressure inside the lungs is a factor that can quickly be fatal. An autopsy showed that in the lungs,alveoli (air bags)had ruptured. Death occurred immediately, while victims were literally sunk in their blood. Under such conditions, cardiac and pulmonary regurgitation is useless. Gas flow rate is 5 cfm or 2.36 liters per second. Although, the lung capacity of individuals varies, the rational evaluation of total lung capacity in adult women is 4.5 liters. This capacity is used in the following calculations. Based on the human physiology, long-term exposure with a difference of 30 mm Hgfrom the intra-pulmonary pressure and the pressure around the body can be fatal. If the pressure rises from 80 to 100 mm Hg (1.5 to 1.9 psi), we expect death occurs immediately. For computational purposes, the average value of 1.7 psi (higher than atmospheric pressure) is used as a critical value. In addition, assume a tight gas volume container to be added to increase pressure to 1.7 psi. The calculations showed that the required additional volume is 0.52 liters. The maximum time to add this value (as a result of an increase of 1.7 psi) from the balloon filling system is determined by dividing the extra amount (0.52 liters) by the maximum flow rate (2.36 liters per second). The result is 0.22 seconds. Since the lungs are not a solid container, the real time to reach 1.7psi may be a bit longer than 0.22 seconds. However, the calculations clearly showed that the human lungs could be overwhelmingly fractured in a fraction of a second, given the current flow rate and pressure from the balloon filling system with helium, and the time is so short that the victims don’t have theopportunity for showing a reaction. Henry G. Wickes Jr., P.E., CSP, Consultant, Professor Mudillian, Security Engineering in Braian, Tex. 979-693-2041. The article is adopted from an article which was published in December, 1996, in the Journal of Professional Security by the permission of the author and publisher. The article has been provided by the Gas Compressed Association.